Thomas Bird, MD, has belonged to the UW neurology and medical genetics faculties for more than 35 years. Since the founding of the UW ADRC, he has pursued his interest in hereditary diseases of the nervous system. 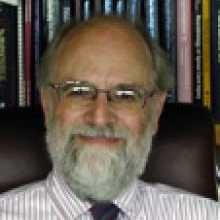 He has worked to identified new and unusual genetic diseases of the brain and neuromuscular system and collaborated with molecular biologists to identify the underlying genes of diseases including Familial Alzheimer’s Disease, Frontotemporal Dementia, Huntington’s Disease, Hereditary Ataxias, Charcot-Marie-Tooth Neuropathies, Hereditary Spastic Paraplegia, and Muscular Dystrophies. Dr. Bird is Director of the University of Washington Neurogenetics Clinic, the University of Washington Huntington’s Disease Center of Excellence and Co-Director of the University of Washington’s Muscular Dystrophy Clinic. Dr. Bird is also medical and scientific advisor to the Jim Lambright Niemann-Pick C Research Foundation and the PNW Friends of FSH Muscular Dystrophy. In retirement, he remains an active member of the ADRC and the ADRC's Clinicopathological Correlation Coference.